Bianca Mendes is a host of exceptional ability. Studies show that a vast majority of guests attending events by Bianca have been known to leave more elated than visitors to Santa's Workshop, The Lost of Continent of Atlantis, and the Fountain of Youth. that is designed to transform negative emotions and stir stories into positive and empowering ones! While helping them forge deeper connections to themselves and our humanity. She frequently shares “magic in the mundane” moments and “owning your awful” stories, revealing the lessons in her everyday experiences that create transformative shifts in her growth. She holds space and curates conversations for others to share their own Stir Stories and push to the edge of their own evolution. Learn more at www.shiftstirrer.com. 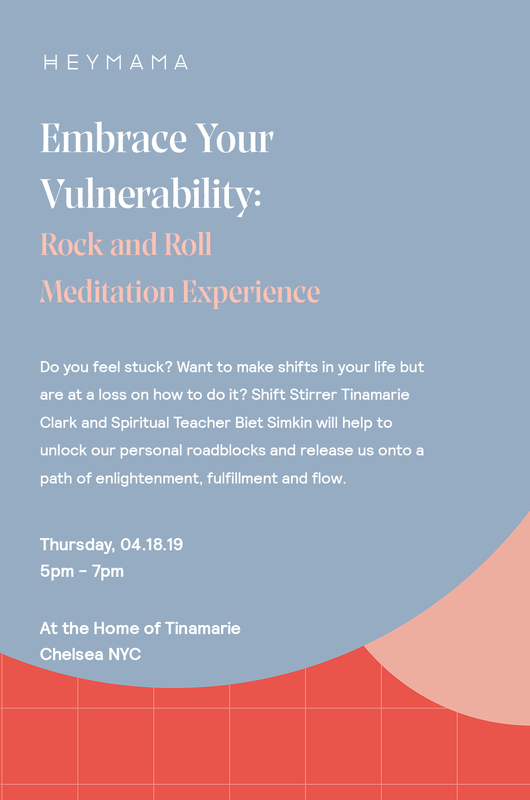 Biet Simkin is a Rock and Roll Spiritual Teacher who pulls out the heart in people through her explosive story, music and global meditation experiences. She recently celebrated the launch of her book, "Don't Just Sit There! : 44 Insights to Get Your Meditation Practice Off the Cushion and Into the Real World". HEYMAMA IS A POWERFUL GLOBAL COMMUNITY FOR CREATIVE AND ENTREPRENEURIAL MAMAS TO CONNECT AND COLLABORATE.